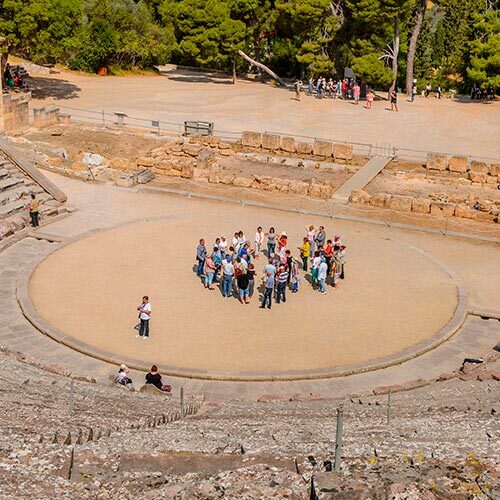 Fast, fresh and fun tour proposals and excursions to get in touch with the Greek civilization and culture and squeeze the most out of your trip to Greece! The contact with the Greek culture and the acquaintance with the civilization of Greece are integral parts of our programs. Depending on the duration of your stay, your free time available and of course your preferences, we recommend tours and excursions with duration that varies from half-day to one day or two days. Make the most of your trip to Greece, choose your experience! Choose one of our proposed destinations for your swimming tour in Greece and we will recommend the best tours .